Do you like mini-comics? Of course you do. Why wouldn’t you? They’re small comics! And you can read a bunch of them! It’s raw creativity distilled into comic form! Students will be setting up tables and selling books, zines, mini-comics, prints, illustrations, buttons, stickers, and more! There will probably be trades and free stuff, too! 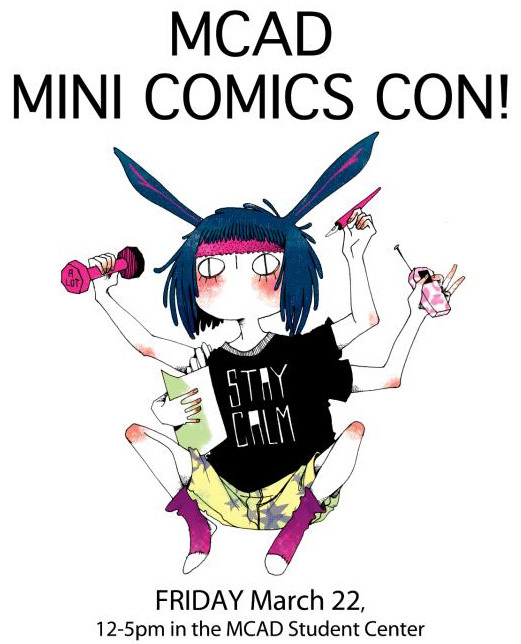 Here’s a quick video from last year’s mini comics con.